Pastor Steve & Teri Totten have been in ministry teaching and preaching the Word of God for nineteen years. They spent almost three years as an Associate (Youth) Pastors at Capitol City Church of God in Lansing, Michigan. For almost three years they served as Lead Pastors at Living Word Worship Center in Cass City, MI where the church grew significantly under their leadership. The Totten’s are in their seventh year as Lead Pastor’s at Grace Point Church (Riverview) where the church doubled in the first three years by the grace of God. The vision at Grace Point is to “Point people to the grace of God found in Jesus”. Recently Grace Point Church launched their second campus in the Holt, and they have a vision to plant other churches in Detroit Downriver, Detroit and Greater Lansing area’s. 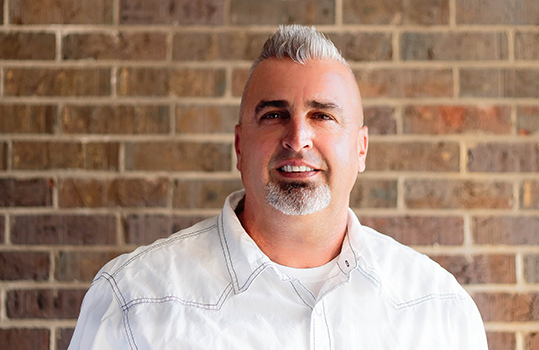 Pastor Steve is an Ordained Bishop in the Church of God and has served on different committees and boards in the state, and currently serves on the State Council for the Church of God in Michigan. Pastor and Teri have been married for over 29 years, they have four daughters, two son-in-laws, three grandsons, and two granddaughters. would go the church would grow. Jesus said go ye not sit ye!" fake the love of God. You either have it or you don't." is looking for better methods, God is looking for better men!" Do you have a special need or prayer request?